Beets and yogurt make a really great couple. 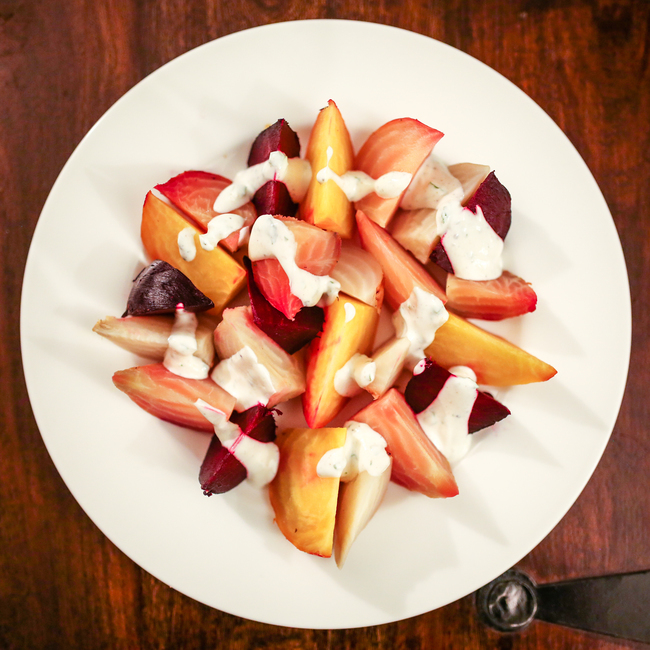 Beets – whether red, white, golden, or chioggia – have an incredible sweetness, especially when roasted, that is complemented well by the creamy tang of plain yogurt. If you’re one of those people who doesn’t like beets because they’re too sweet for you (don’t be ashamed – we were once among you! 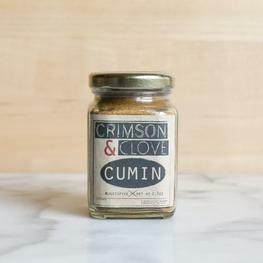 ), try this recipe out and you may just become a beet convert like us!The addition of lemon, cumin, and mint to the yogurt help heighten the tang of the dressing and give it a nice kick that pairs well with the roasted beets. This recipe works as well for an easy weeknight salad as it does as an elegant dinner party spread. The white dressing drizzled on top of the intensely colorful vegetables makes for a beautiful presentation that will surely “wow” everyone, from your kids to your neighbors to your in-laws.Try this out with a variety of beets, as we did, for a beautiful rainbow beet salad. Or, pick your favorite color to keep it simple. We love the yogurt dressing from this recipe, but you could also use Sohha’s garlic mint yogurt dip for an even simpler salad topper. Preheat oven to 425 degrees. 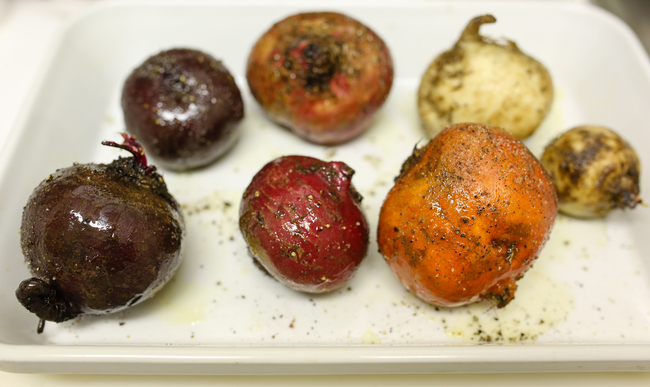 In a 9-by-13-inch baking dish, toss beets with olive oil. Season with salt and pepper. Cover dish tightly with foil and roast until tender when pierced with a knife, 45 to 60 minutes, depending on size. When cool enough to handle, rub beets with a paper towel to remove skins. Slice as desired and arrange on a serving dish. 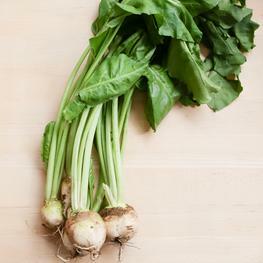 Meanwhile, in a small bowl, whisk together yogurt, mint, cumin, and lemon juice; season with salt and pepper. 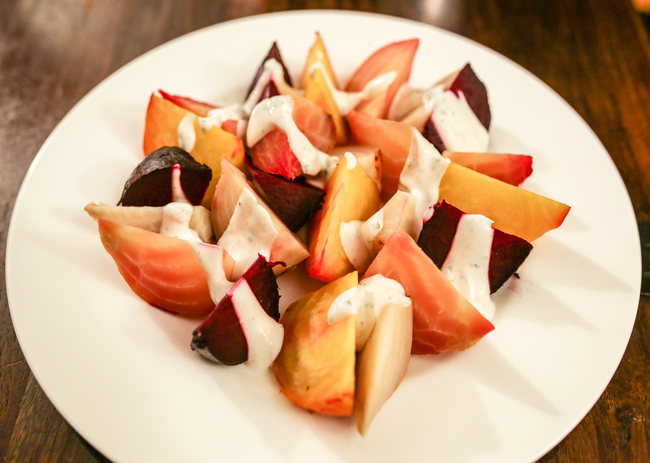 Spoon yogurt sauce over beets and serve.